We are a small team that brings you a day that you will remember for the rest of your life. Holcomb Weddings isn’t just your ordinary wedding and event planner, our clients hire us because they want a wedding like they dreamed of. What we do is deliver that along with much more. After graduating from the University of Washington Callie set her sights on the Seattle music scene. Though her inquisitive nature and uncanny ability to network, she landed a position at Seattle’s leading concert promoters. It didn’t take long for her to be the “party planning committee” in her office. 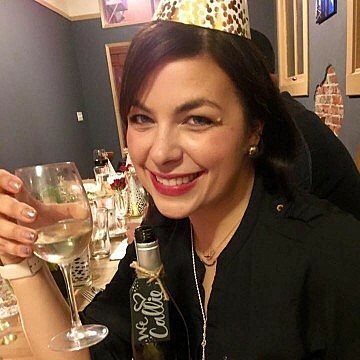 As more and more opportunities to plan events for her friends and family would come to her, the inevitable pull to create beautifully executed events would become a career. With encouragement from her supportive husband and colleagues, she started Holcomb Weddings & Events. Through her personable, friendly disposition coupled with classically modern design aesthetic and keen attention to detail she ushers you through the planning process with a graceful ease. "PLANNING IS NOT JUST WHAT IT LOOKS LIKE AND FEELS LIKE. PLANNING IS HOW IT WORKS, TOGETHER." 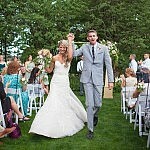 "I hired Callie for Day of Coordination services for my wedding in October. This was the easily the best wedding decision I made! You can only imagine all of the craziness that happens the weeks leading up to your wedding, and all the little things that need to get done on the day of. It was amazing to be able to completely relax on my wedding day and know that things were being taken care of. Not only that, but my family and friends weren't stuck dealing with vendors or decorating the venue on the day of, they got to enjoy the day as well. Callie was so great to work with and I am so happy she was there for me on my wedding day. Trust me, you will not regret hiring her!" "Callie was truly the best person we could have invested in for our wedding! First, her wonderful personality made her so easy and so much fun to work with! Also, other vendors love working with her as well, so they would provide discounts for their services as well (huge bonus). 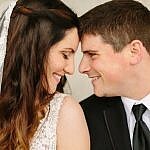 She helped make our dream wedding come to life, and given her extensive experience, she was great at integrating our ideas in ways that kept with our overall style. Our guests RAVED about the wedding, and we had so much fun with the whole experience that I honestly wish we could throw a party like that every year 🙂 I really enjoyed the process of wedding planning, and I know that is because all I had to do was enjoy the fun stuff while Callie took care of anything that may have been stressful. We were so fortunate to have found Callie, and we ended up with a really wonderful friend at the end of it all. I couldn't have asked for anything more than that!" "I cannot say enough positive things about Callie! She was the absolute best thing that could have happened to my wedding! She made all my dreams and visions of my wedding come to life. 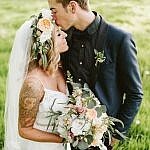 From knowing exactly what vendors to hire from looking at my pinterest board to suggestions that I would have never thought of! There is so many small details that I didn't even consider having that we needed! She make's sure all the small things are taken care of, like where to rent candle holders and cake stands! Things that a bride doesn't have time to think about! She was there every step of the way answering all the questions I had. I could not imagine not having here there on my wedding day. Everything went PERFECT thanks to her! I remember being at the wedding rehearsal and doing the walk through and thinking to myself, "How do people even know what to do without a planner?!". I could not recommend Callie enough. I wouldn't have been able to do it without her, she made everything go so smoothly. She set up all the table decorations the day of while I was getting ready.. it was to die for. Having her there was like having two of me! Please do yourself a favor and hire her! She was the best part of my wedding :)"